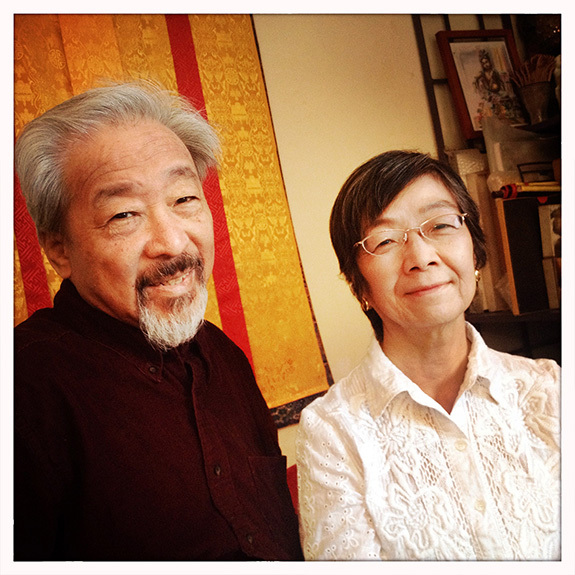 Bob Lee (“just over 70”) and Eleanor Yung (”right below 70”) met at the Basement Workshop Collective in the 1970s, when both gravitated to New York City’s Chinatown as an East Coast center of Asian American arts and activism. Bob had been raised in Newark by parents who had immigrated from China in the early 1930s, while his future wife had come to the US from Hong Kong to study. Eleanor was a dancer and Bob… “What was I? I was looking for friends. I was looking for who the hell I was.” An art historian, he founded and still runs the Asian American Arts Centre and Archive, while Eleanor moved from dance and choreography to the healing arts, teaching Taichi Chuan and Qigong, and practicing acupuncture.